Maximum number of selected products per account type exceeded. This FREE checking account requires e-statements and direct deposit. Note: some of the selected products may have been preselected by your financial institution. Please review the list carefully and confirm the choices by clicking Continue. 2. Do you want Direct to authorize and pay overdrafts on your ATM and everyday debit card transactions through Courtesy Pay Plus? How much do you want to deposit? How do you want to fund your new account? Your Social Security Number (SSN) is used for identification purposes and to determine your account opening eligibility. Press this button if you want to assign an equal value to all beneficiaries. In some cases, 100 cannot be divided evenly by the number of beneficiaries When this occurs, the amount of the first beneficiary will be increased to make the total equal 100%. Please attach a copy of the front of your driver's license by using the button below. 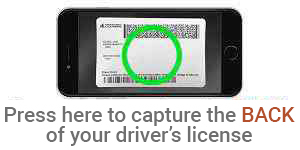 Speed up your application process by taking the BACK image of your US driver's license. If you do not wish to use this feature, simply close this popup window and proceed. You're logged in as . System can't prefill due to ZIP code discrepancy. Please proceed by manually entering the information or correct the value in the ZIP field in the 1st page. 1. Please provide the name of the friend or family member who referred you. By submitting this application, I consent to receiving the account disclosures and agreements in electronic format. I agree to the terms and conditions of the Account Agreements and Disclosures, Fee Schedule, and eStatement Agreement, if applicable, and to any amendment that Direct makes from time to time which are incorporated herein. By clicking on "I agree", you, and any listed co-applicant, authorize us to verify the information you submitted. You agree that the information you are submitting is true and correct to the best of your knowledge. By eSigning and submitting this application, you are authorizing us to verify the information contained in your application. The links to Agreements & Disclosures will be sent to your e-mail account so you may view/print later. Restart will clear all data and return to the main page. Are you sure? Federally Insured by NCUA. Equal Housing Lender. © 2013-2019 MeridianLink, Inc., All Rights Reserved.